Shown left to right: Chris Rehmann, branch manager of IntePros Consulting; Matt Cabrey; Greg Deavens. 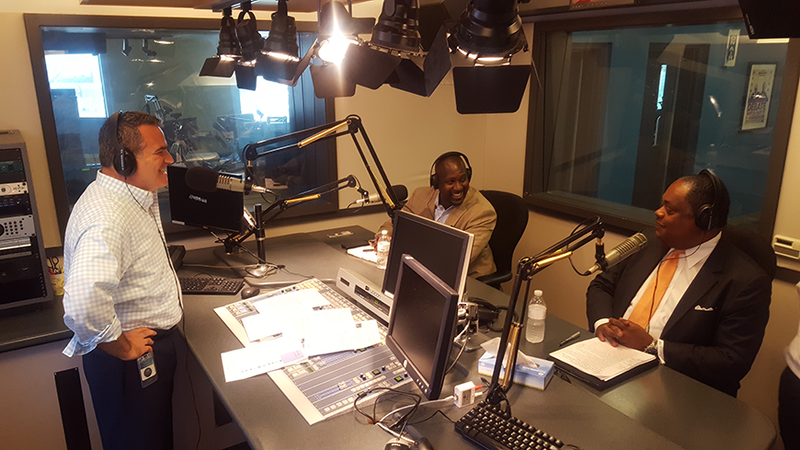 Gregory Deavens, chief financial officer and treasurer at Independence Blue Cross, joined Matt Cabrey, executive director of Select Greater Philadelphia Council (Select), and leaders from Independence’s supplier diversity program to discuss the value of diverse ideas in business, and share favorite moments and landmarks. Select is part of the Chamber of Commerce for Greater Philadelphia that focuses on telling the powerful story of our region to inspire businesses from around the world to make Greater Philadelphia their home. 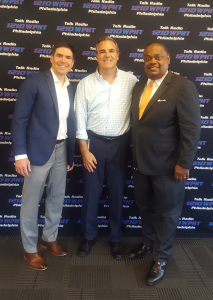 On the Growing Greater Philadelphia radio program and podcast, Deavens talked with Gene Waddy of Diversant and Christopher Rehman of IntePros Consulting about the need to grow strong, diverse relationships, how they impact and inspire a workforce, and how these relationships can be more than simply contract for services. The segments aired September 14, 2018 on Talk Radio 1210 WPHT and can be heard via podcast at 1210wpht.radio.com.